Business can be transformed only by aligning IS to the business objectives. Information Systems are the key component in business process and best of breed, development. If IS does not align with the business, then the organisation will suffer and incur a competitive disadvantage. 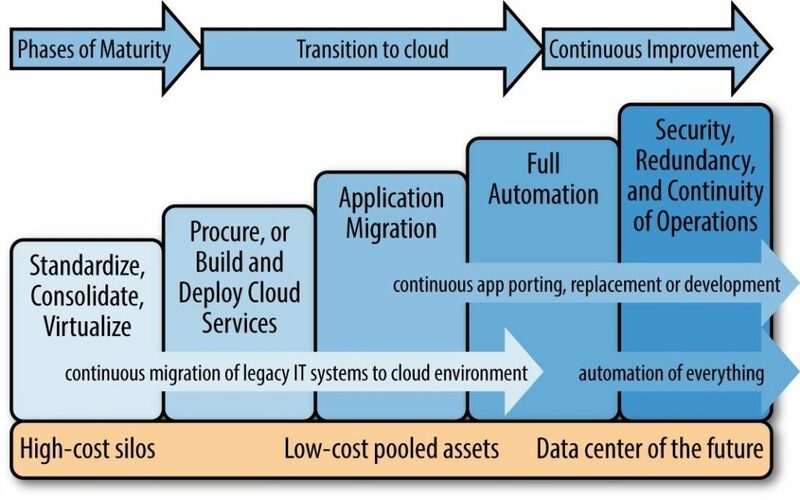 Cloud is the great enabler of business transformation. But even then, it must be aligned with business strategy and objectives. 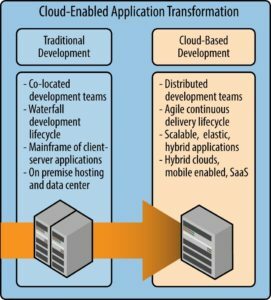 Within Cloud AWS is the reference architecture one should follow. It is well and good to move your estate into a cloud platform, but there must be a tangible business benefit and rationale to do so. Reducing costs might be a reason, but the most important factor is alignment. 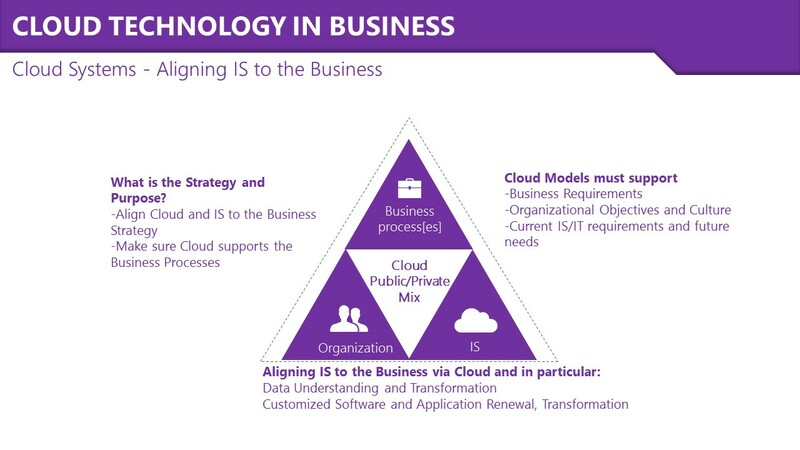 Will moving to the Cloud or any other platform, more properly align information assets to the business strategy and purpose? In that vein, culture and organisation must also be aligned and supportive of the business strategy. In many firms, these alignment issues are simply ignored and they lead to a competitive disadvantage. Open Standards, AWS, Lots of AWS, Azure, Java, HTML5, Angular, React.js, JSON, Rest, SOAP, SOA, Ruby, Agile Dev/Ops (but only sometimes), Waterfall (most times), OOAD, Change management, KISS, ITIL, Agile, OOAD, Design Patterns, NoSQL, MySQL, WAS, CAF, COBIT. Big Data which correlates unstructured data with not much except expensive projects and hyperbole. Most consultancy models which are in the main 20 years old. Academic ‘models’, paradigms from a static world. Firms that do not document, model or even understand what their processes are. Code that is not commented. Code that is not modular, component-based, or just plain bad. Lack of REST, Web Services, Customised DAO in Application architectures. Firms without Conceptual-Logical-Physical models of their IS and apps. Someone telling me they can build a customized ERP system like Oracle’s over a long weekend. Complexities like Open Stack, which very soon becomes a Closed Stack. Automation of most IS tasks. Some form of Agile development (customised to reality). Patterns used in every deployment. AWS. LAMP. Lots of AWS. If you don’t know AWS you don’t know the best of breed Cloud reference model. Aligning processes around customer expectations. Hybrid Clouds. Multi Cloud Management. API management, which could include Mulesoft middleware. Desktops into a VDI model eg AWS Workspaces. Swapping expensive licensed estate for pay-as-you use models. SaaS. Security and ID management as a service. Teams as a Service [TaaS]. Automated Cloud Backup and Recovery. Containers. Kubernetes to Orchestrate Docker. With 20 years’ experience in building IS systems, including 10 in the Cloud, and having been involved with more than 150 firms worldwide there is an approach and methodology which works in aligning IS to the business. This IP will save firms time and money. Most importantly, it is real, not academic, and not static. MSc, IMBA, MA, HBA, Certificate in C.S., AWS solutions architect, various accreditation’s including ITIL. Know enough to be dangerous using COBIT, CAF, and a screwdriver.